Young people should be able to be whatever they want to be. Taking action to support young people to decide what they want to be will help tackle gender stereotyping, and occupational segregation, in school, in the world of work, and in Scotland. 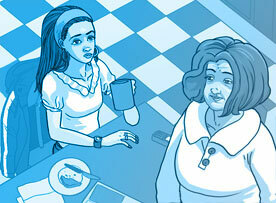 Read about the characters in our comics and see how they decide. Take a tour of Choose your own path to see what jobs and courses interest you. The Be What You Want campaign aims to help young people make informed decisions about what they want to do after they leave school. Our campaign materials include a resource for teachers which includes activities to support the aims of Curriculum for Excellence. Parents and carers have a huge role in breaking down gender stereotypes and making sure that their children don’t feel pressured into decisions based on their gender. 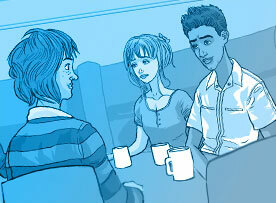 Choose your own path is a resource to help young people research different courses and jobs. Be What You Want is a campaign to raise awareness of gender stereotyping and occupational segregation, in the context of subject and career choice, among children and young people. 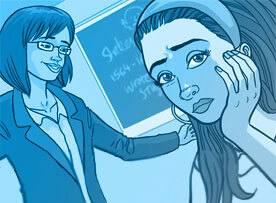 Find out how our six characters decided what they are going to do once they leave school. Find out about the paths our professionals followed; what they studied and what advice they can give you.